Need a New Door Lock Installation, High Security Locks for Home or Lost Keys to Home? 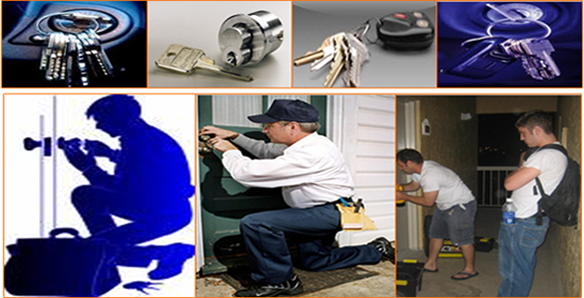 Sherman Oaks Residential Locksmiths are the most distinguished locksmith service provider in Sherman Oaks, CA. Our comprehensive range of residential locksmith solutions are of highest standard and delivered absolutely at affordable rates for you. We understand the enormity of importance that home-security has for any homeowner individual. Therefore, we make sure that we carry high security locks and all type of locks and keys for use at home when we go for any customer visit. Our variety of residential locksmith services makes us one of the most unique locksmith in Sherman Oaks, CA. We provide our clients higher quality locks from branded companies and give 6 months warranty with each new lock sold. Our wide ranges of decorative locks are of different colors, designs and have aesthetical beauty as well. You can choose the type of locks in accordance with your needs. Apart from installation of new locks to repairing the existing faulty locks, our expert locksmith technicians are quite clever at handling all types of residential locksmith jobs. We assure you that Sherman Oaks Residential Locksmith will give you total customer satisfaction.